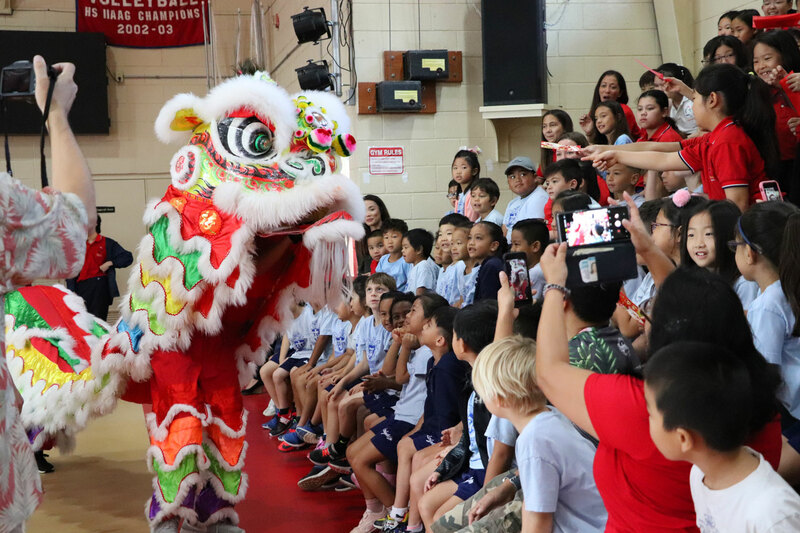 In celebration of Chinese New Year, the Chinese School of Guam’s Lion Dance Team visited the Dale J. Jenkins Gymnasium to perform the traditional lion dance on February 7, 2019. 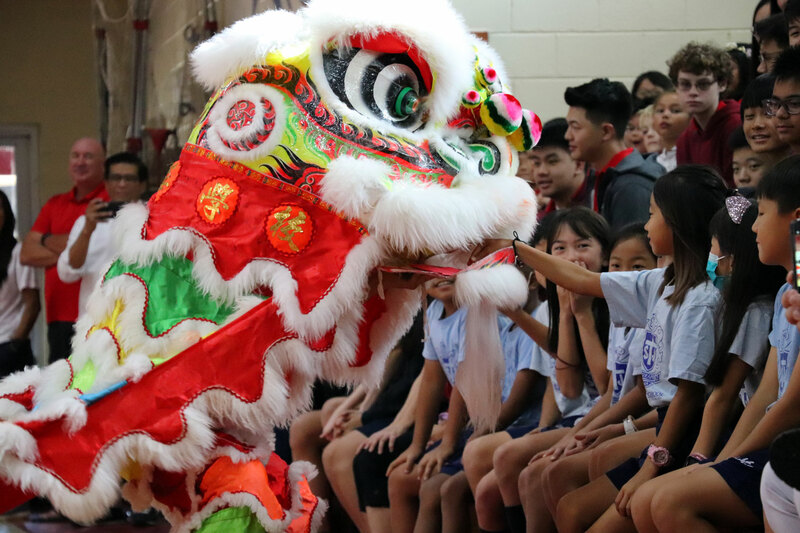 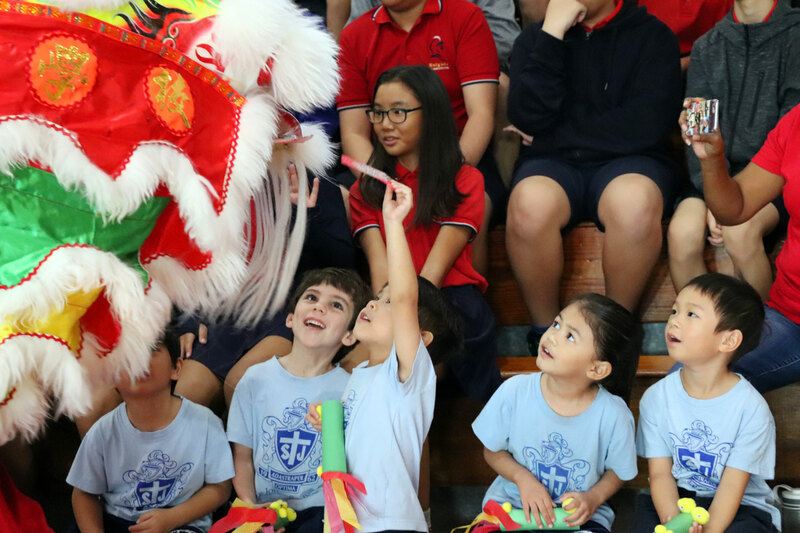 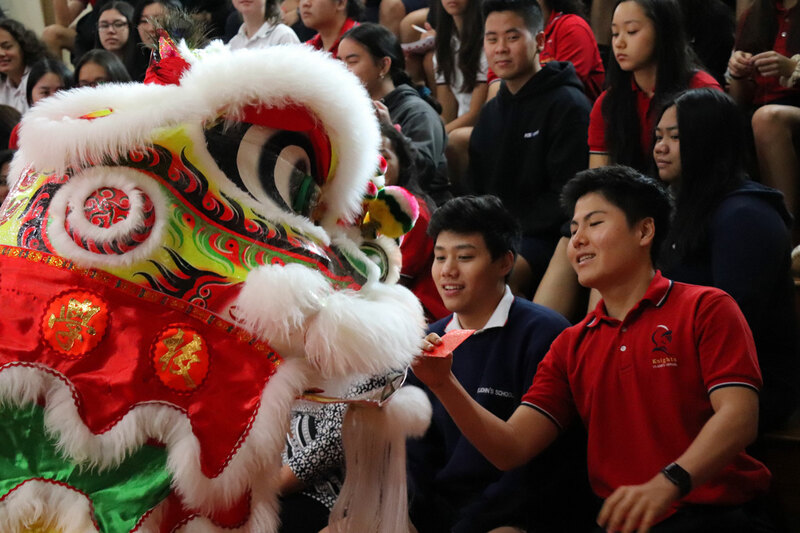 Accompanied by the beating of the drum, cymbals and gongs, students excitingly reached out their hands to “feed” the dancing lion with red envelopes as it made its way around the gym. 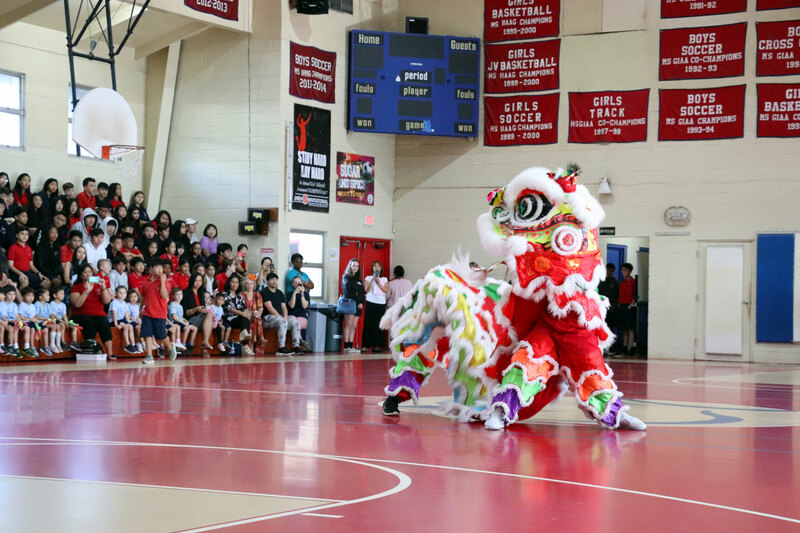 Lion dances are performed to ward off evil spirits and usher in good luck throughout the year. 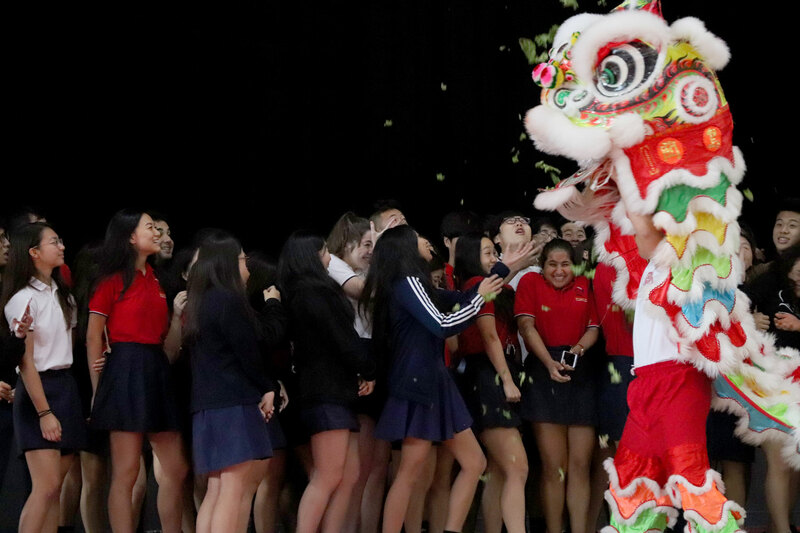 Towards the end of the performance, the vibrant lion consumed a lettuce hung with a red envelope. 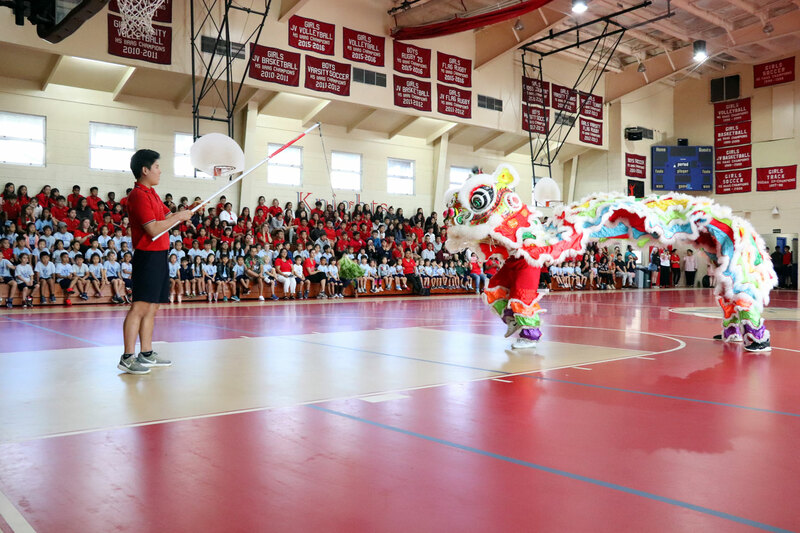 The senior class of 2019 then gathered to the court as the lion spat out the leaves to the students, signifying new beginnings, good fortune and prosperity.